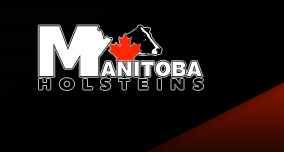 Holstein Canada is a member owned and directed association, made up of approximately 11,000 members across Canada. The purposes of the Association are to improve the Holstein breed; prepare, maintain and make available a genealogical record of the breed; and promote the best interests of breeders and owners of Holstein cattle in Canada. The Manitoba Holstein Branch was established on June 28, 1927. Click here to view statistics for Manitoba Farms since 1927.